I have not been able to do any posting or podcasting for the past couple of weeks. I was actually cramming for the SPHR-CA certification test I scheduled for December 15. Yes, I passed! And that feels fantastic. But the last couple weeks of highly concentrated study before and after work left me exhausted and not willing to spend the time needed to work on HHHR. In addition, my wife and I are now preparing to go on vacation and spend the Holiday week with my kids, all of whom now live east of the Mississippi. I plan on posting and podcasting about my decision to take the SPHR-CA. I live and work in Colorado and Wyoming but I have some good reasons and opinions about the California certification that I want to share. So, I’m hoping now that I have accomplished another grueling certification, I will have more time to spend on HHHR the first of 2015! Until then, I wish everybody a very Merry Christmas and a Happy Holiday! I will see you again in January. HR leaders, as Change Champions, must practice what we preach and embrace the significant change that is happening before us in the HR certification space. As HR leaders, we are expected to be the Change Champions in our organizations. In fact, the top HR thought leaders, Dave Ulrich and Wayne Brockbank spend a significant amount of time discussing the importance of change and HR as Change Champions in their two most recent books, HR From the Outside-In, Six Competencies for the Future of Human Resources and Global HR Competencies, Mastering Competitive Value from the Outside In. 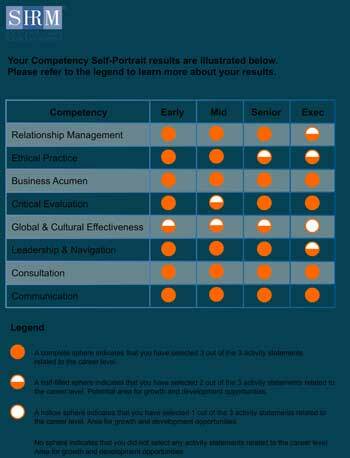 HR as a Change Champion is one of the six competencies they discuss. Their context is that of HR being a Change Champion in their organization but it can just as easily be applied to the HR certification space. In their book, HR From the Outside In, Six Competencies for the Future of Human Resources, they discuss how organizations go through dramatic change. To emphasize their point, they cite the startling statistic that only 70 organizations from the 1955 Fortune 500 list are still in existence independently today. In other words, 430 big and powerful organizations no longer independently exist. HR professionals should help their companies face, accept, and be open to the pressures of change rather than hide from them. If an organization cannot change as fast as the pace of change in its environment, the organization will fall behind, decline, and disappear. Change in an organization should at least match the pace of change in the environment. HR professionals conceptualize and design organizational agility, flexibility, and responsiveness to external changes. Our profession is rapidly changing and evolving. If our certifications don’t keep up with this change, they will become obsolete. 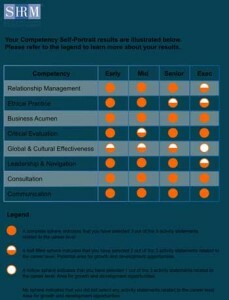 I commend SHRM for recognizing this and introducing a significant change to the HR certification space in response. They are shaking up the status quo and taking a huge leap forward. Prior to SHRM’s announced entry into the HR certification space, I never saw HRCI doing anything significant in response to the changes happening in our profession. I expect they will now. As I stated here in a previous blog post, our profession will end up better when one certification ends up winning the battle. The competition will ultimately be good for the profession. Again, I am not taking sides. 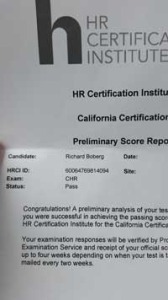 I am very proud of my SPHR and will also go through the steps to earn my SHRM-SCP as soon as it’s available in 2015. I simply want the best for the HR profession and if this battle that takes us to the next level makes us uncomfortable, so be it.